Cliff “Uncle Cliffy” Robinson and Athletes For Care will present “Cannabis, Wellness & the Professional Athlete” next week in Boston – don’t miss it! Medical cannabis is becoming more widely accepted and the claims that CBD and THC provide a variety of medical benefits more frequent. In the world of professional sports and athletes, the interest in cannabis as a supplement to training and recovery is growing. On October 4th, Athletes For Care is hosting a special workshop, Cannabis, Wellness and the Professional Athlete, at the Cannabis World Congress & Business Exposition (CWCBE). This full-day event includes 1 60-minute panel hosted by former NFL player and best-selling author Nate Jackso and will discuss current sports performance training concepts incorporating CBD and/or THC. Athletes from many professional sports are turning to the use of medical cannabis during their career. Panelist and retired UFC champion, Frank Shamrock, along with former NBA player Cliff Robinson, will be there to discuss how cannabis played a role during their careers, and why many athletes are turning to CBD as a training aid. The Athletes for Care panel will explore the use of medical cannabis as an alternative to potentially harmful and addictive methods of post-career pain management. Panelists NFL retiree Eben Britton, and former NHL player Darren McCarty have been very outspoken regarding the need for healthier treatment alternatives in professional sports. In addition to incorporating CBD and/or THC, retired NHL player and panelist Riley Cote is developing programs to incorporate other alternative training concepts, such as yoga and meditation. The panel will confer on the validity of the claims, from many athletes and trainers, that the use of CBD and/or THC before, during, or after a workout is medically beneficial to the body and mind. The panel will also include respected guest Dr. HJ Raza, from C3 Global Biosciences, and will discuss his career research on CBD and THC and the potential research initiatives that could further advance the science of this topic. A second 60 minute panel, Leveraging the Power of Influencer Marketing, will be made up of professional athletes and marketing professionals. They will discuss how, and why, the cannabis industry is utilizing the growing trend of “Influencer Marketing” to successfully reach their audience. Workshop attendees get the opportunity to learn influencer marketing techniques from professional athletes, turned influencers. 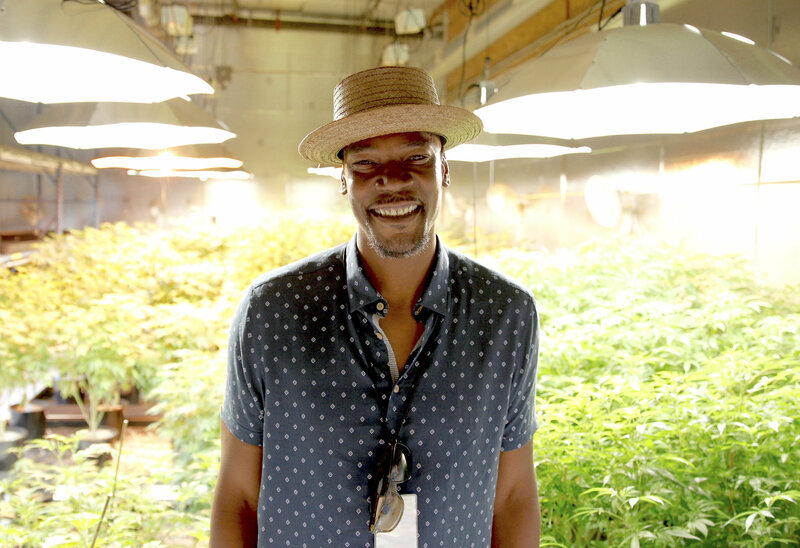 Hear from retired NBA athlete Cliff Robinson on how his influence is applied to his personal brand Uncle Cliffy, and how influencer marketing greatly benefits his cannabis business. Former UFC champion Frank Shamrock will be there to discuss how he has used his career success and personal influence to develop his vastly growing lifestyle brand, and how it extends out to his other cannabis industry endeavors. Receptra Naturals Marketing Director Lane Radbill will be there to describe his experience building one of the cannabis industry’s largest influencer marketing programs. Hear how he and Receptra Naturals Brand Ambassador, panelist and former NHL player Riley Cote, coordinate their efforts to best reach their intended markets. Learn how to distinguish between the personalities with a real capability to influence the audience, versus those who solely have a large social media following. This is your opportunity to tap some of the greatest minds in cannabis and professional sports. Whether you have a cannabis business or just a general interest in sports and cannabis, this is the one for you. Athletes for Care want to personally invite you to attend Athletes For Care Presents: Cannabis, Wellness, and the Professional Athlete, at the 2017 Cannabis World Congress Business Expo in Boston, MA. Click here for your opportunity to attend the conference. For more info and tickets to this event, please visit the Athletes For Care. JoAnn Tippet is a member of the supporting team from Athletes For Care.